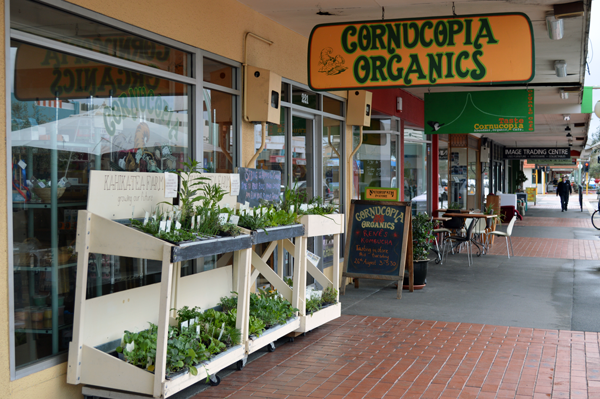 Welcome to Cornucopia Organics, Hastings' one stop shop known for organic, whole and natural food as well as an extensive range of herbal, health and naturopathic products. 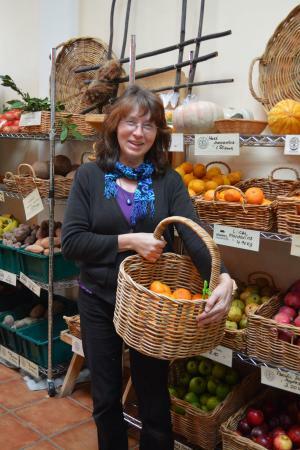 Our store is stocked with locally sourced, certified organic and biodynamic fresh seasonal produce as well as a wide range of other organic products for your pantry. We have a wide range of our products in bulk, not only to reduce cost, but also to keep packaging waste to a minimum. We feel passionate about creating a healthy community and reflect that not only in the products that we sell but the support we offer you to make an informed choice about the health products that you are buying, we employ naturopaths and herbalists who are on hand to give you advice. Come and visit us if you are concerned about your health and the quality of your food and want to experience a different kind of shopping, we extend a warm welcome to all our customers. We believe that everyone should have the opportunity to access healthy organic food and safe, natural products. Our aim at Cornucopia is to source and provide our customers with the best quality products at the best possible prices. We try to keep our margins on the products as low as possible so that we can make organic food affordable for as many people as possible.